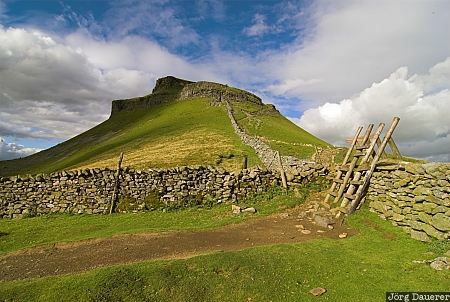 A drystone wall below Pen-Y-Ghent in the southern part of the Yorkshire Dales near Settle, Yorkshire, United Kingdom. This photo was taken on a cloudy day in September of 2007. This photo was the image of the month in October of 2013. This photo was taken with a digital camera.